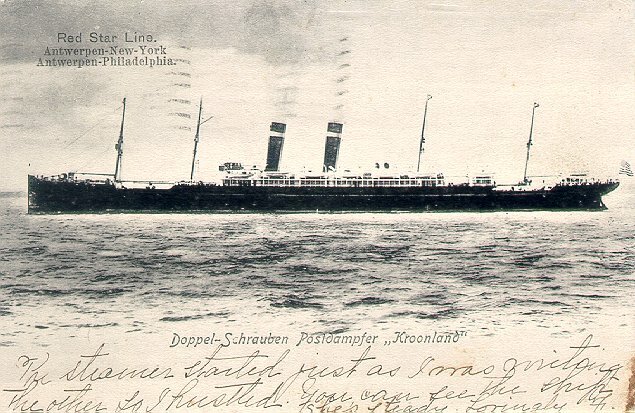 Kroonland, built by W Cramp & Sons of Philadelphia, was launched in 1902. 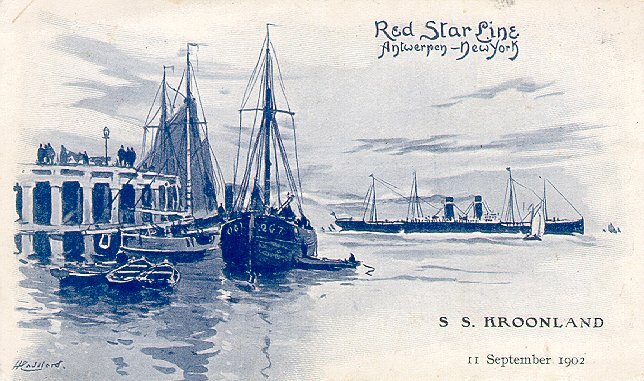 She made her maiden voyage on Red Star's New York-Antwerp route on 28 June of the same year. 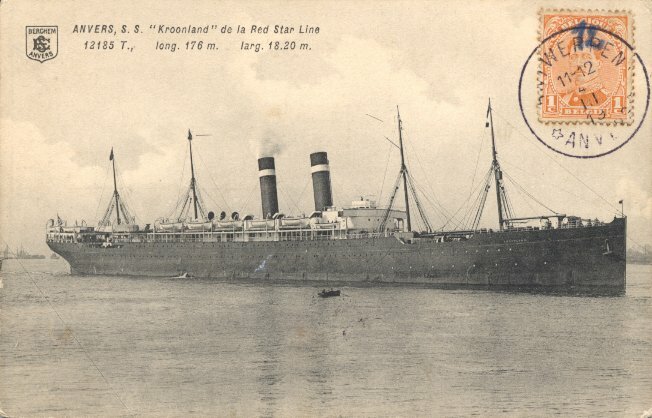 After the beginning of World War I, she served on a variety of routes for three different lines (Red Star, Panama Pacific and American) before being taken over as a U.S. Navy transport in April 1918. 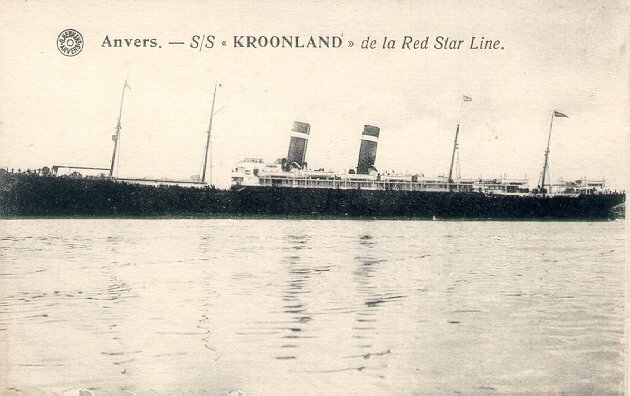 After the war Kroonland returned to Red Star's New York-Antwerp service. In 1923 she was transferred to the American Line and placed on that line's Hamburg-New York service. Later that year she was sold again, to Panama Pacific Line, for service between New York and San Francisco and, in 1925, Miami. She was laid up in 1926 and scrapped in 1927. 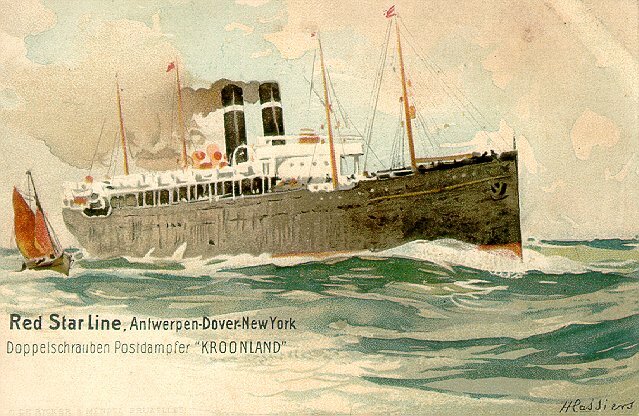 Kroonland also occupies a spot in ocean liner history, as the first ship to use wireless while in distress. In December 1903, The New York Times reported that she had sent a message to Brow Head that she was returning to Queenstown with her tiller smashed and steering gear disabled. The Times reported Kroonland as "First to Use Wireless Telegraphy in Distress". Sources: Bonsor's North Atlantic Seaway; Kludas' Great Passenger Ships of the World; The New York Times, 9 December 1903.